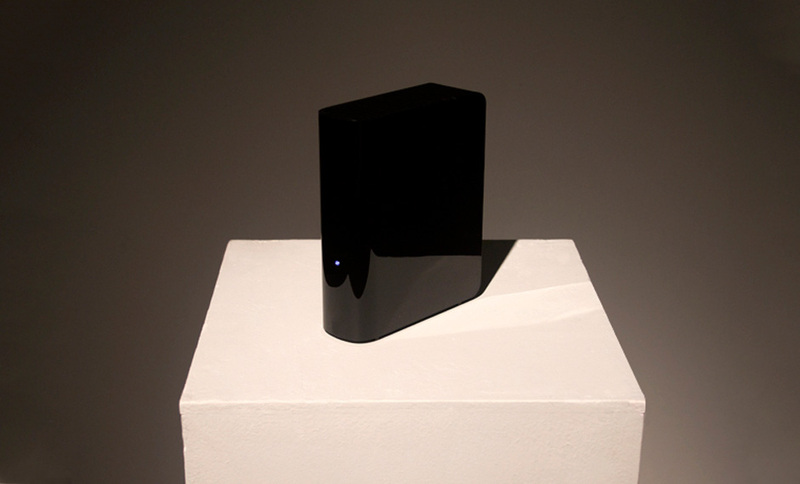 “5 Million Dollars 1 Terrabyte” (2011) is a sculpture by Manuel Palou currently showing at Low Budget Gallery. The work consists solely of a 1 TB Black External Hard Drive containing just under $5,000,000 worth of illegally downloaded files. A full list of the files with clickable download links can be found here, should you dare. Describing this as art or sculpture is a stretch. More like an idea in a concrete form, pun intended. Cleverness is commonplace every generation, profundity is a little bit more rare. This is art how? If I stuck a hard drive on a blockof wood and called it ‘art’ they’d put me away!